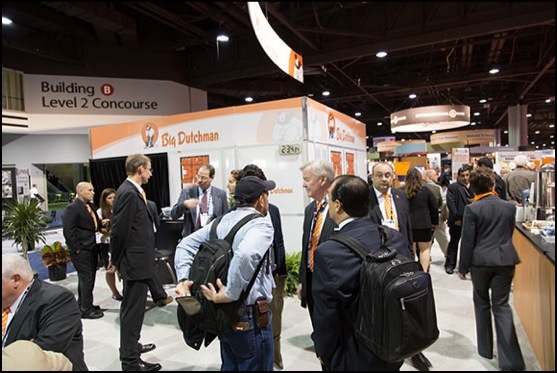 During the 2013 International Poultry Expo (IPPE), Big Dutchman’s booth was full of people participating in the official celebration of Big Dutchman’s 75th anniversary. 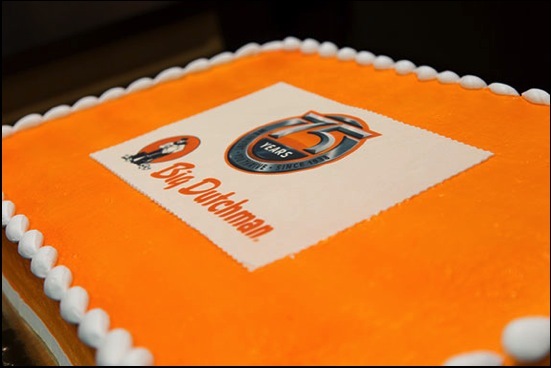 People from around the world came to join the festivities that began with a speech by Bernd Meerpohl (Chairman of the board), and anniversary cake cutting by Bernd Meerpohl and Clovis Rayzel (President of Big Dutchman USA and Latin America). AVECH III: Newly designed Enrichable / Enriched colony system to house more birds at less cost. C2+ XL: Layer breeder nest that is deeper than the previous design. NXB Breeder Nest: Breeder nest for the next generation of breeder hens. GLADIATOR turkey feeding pan: Turkey feeding pan designed to last, and to improve feed conversions. 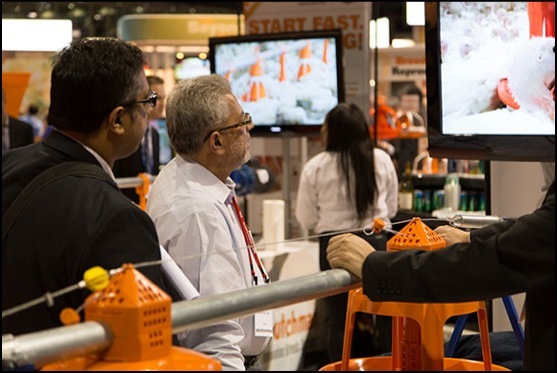 ViperTouch: The power to control your poultry house at your finger tips. Also at the Big Dutchman booth was a very unique 3D movie experience. 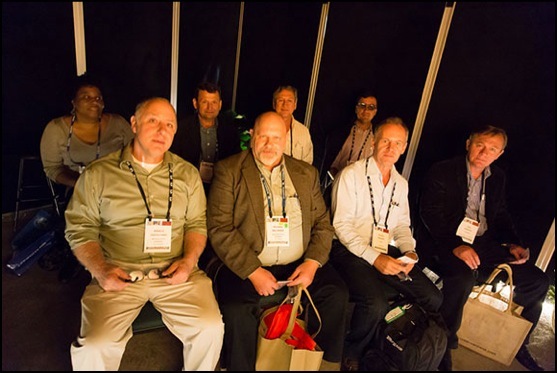 “The experience was designed to give the viewer a better perspective of what goes on inside a poultry house,” said Clovis Rayzel. 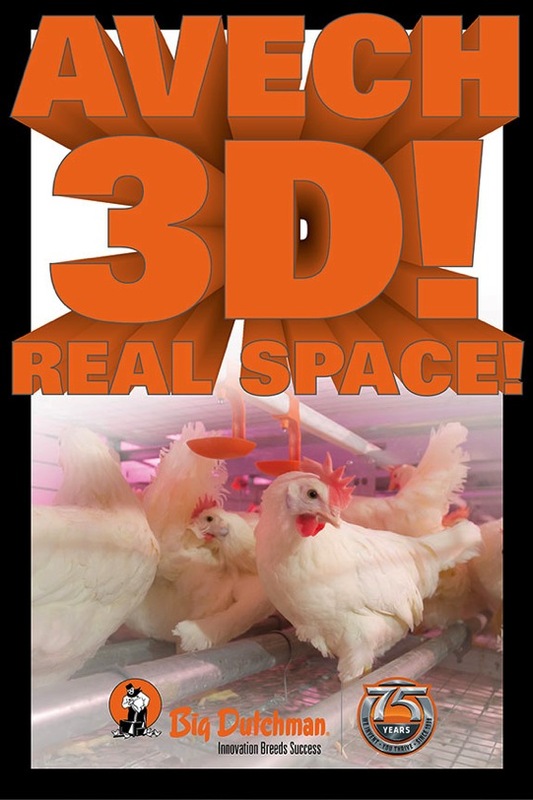 “The viewer was able to see how much room the hens have in the AVECH colony system, and this helps people understand in better detail how the products work, and how the animals use the products.” There was a theater dedicated to three different videos: an AVECH video showing the space hens have inside the system, a turkey video for growers to see the durability of the GLADIATOR feed pan, and the FLUXX feed pan and straight line auger system which showed how this system delivers superior feed conversions. To top things off, Big Dutchman had legendary race car driver Al Unser on hand to greet visitors and to sign autographs. Al brought along his race car “Johnny Lighting”, which he used to win two of his four Indianapolis 500 races. 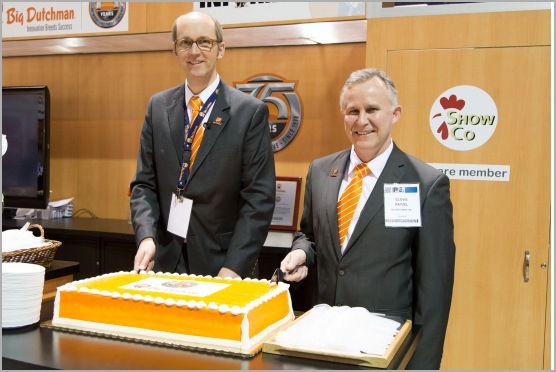 “Having Al and his car at the booth was a great experience for visitors,” says Terry Pollard, Vice President of North American sales for Big Dutchman. 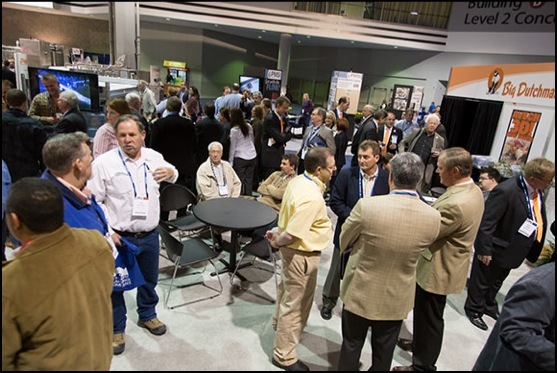 Thank you to all the people who came to visit our booth at the 2013 International Poultry Expo. People inside the theater getting ready to watch the video. The booth was very busy throughout the whole show. 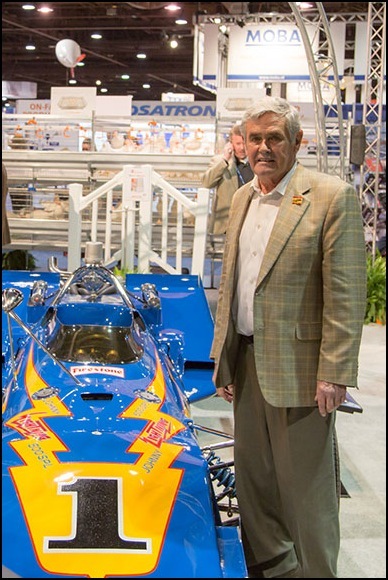 The legendary race car driver, Al Unser and his car that he won 2 of his 4 Indy 500 races. 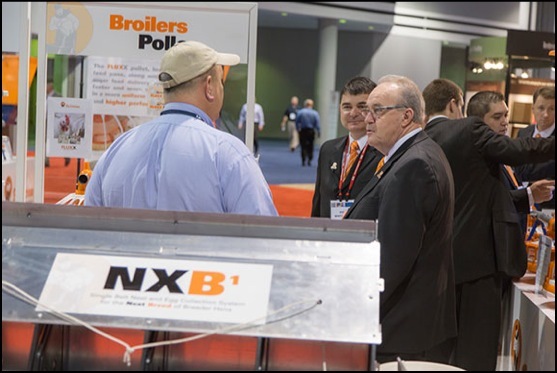 Don and Shaw meeting with a customer and talking about the new NXB breeder nest system. One of the posters from the 3D theater.